Featuring the iconic clip point blade, 1095 Cro-Van steel is painstakingly ground and heat treated to ensure each knife is tough and durable while remaining easy to sharpen to a hair popping edge. Black Kraton G handles are contoured into the familiar oval shape, comfortable in hand while providing excellent traction and control. 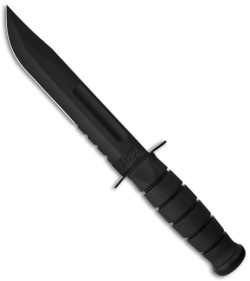 Safely nestled between the finger guard and pommel, the Ka-Bar Fighting/Utility knife remains secure in hand whether you're in close quarters combat or blazing a trail through thick vegetation. The black leather sheath adds to the aesthetic appeal of the knife with secure belt carry. 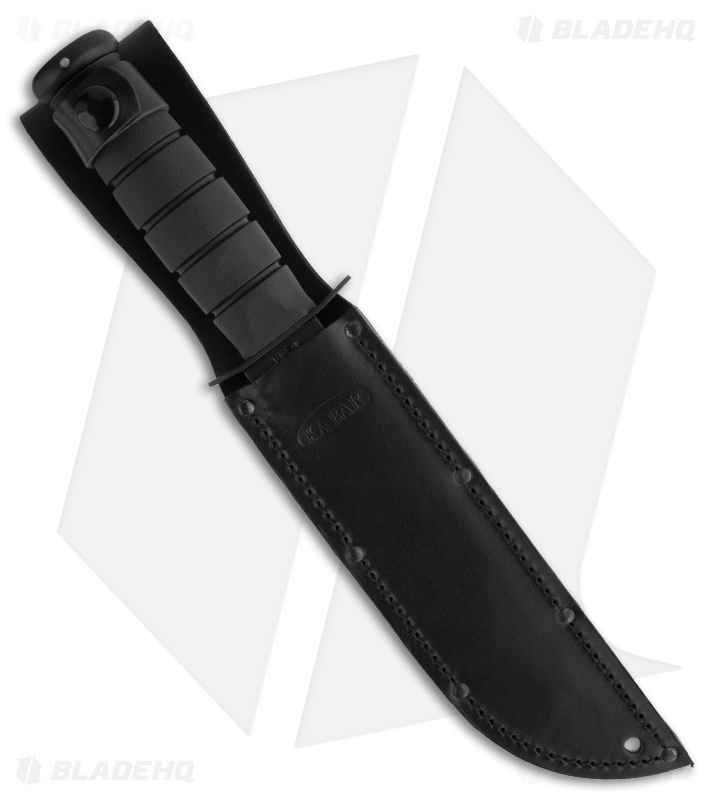 7" partially serrated clip point blade capable of any small or large task. Black Kraton G handles comfortably fill the hand. Black leather belt sheath for easy carry.